Girl Guides across Australia are proudly celebrating the Diamond Anniversary of Girl Guide Biscuits– 60 years of selling Girl Guide Biscuits. Saturday 26 May is the official National Girl Guide Biscuit Day when thousands of girls will be setting up biscuit stalls to fundraise for their Guiding activities. Being one of the largest organisations in the country open to girls and young women from all backgrounds, cultures and religions, Girl Guides Australia provides informal learning programs, fun adventures, international travel, camps, outings and national events to its members. Funds from biscuit sales enable Girl Guides Australia to support the delivery of programs that respond to the issues affecting girls and young women. This includes promoting women in leadership, financial literacy, awareness against body image stereotypes and gender-based violence. 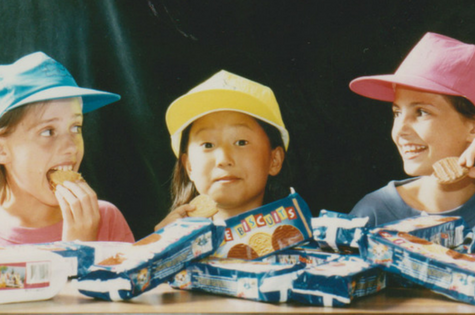 More than just a tasty snack, Girl Guide biscuits have become an icon for Guiding throughout Australia. The flagship Traditional vanilla biscuit, the Buttery Shortbread (gluten-free) and the bite-sized Mini Chocolate Chip biscuit with real chocolate chips make up the 2018 Girl Guide biscuit range - a treat for everyone! Having a hard time getting your teen to do something?